Ross & Cromarty Roots | Donald & Mary Macdonald. Sacrd to the memory of/the late/Rev. 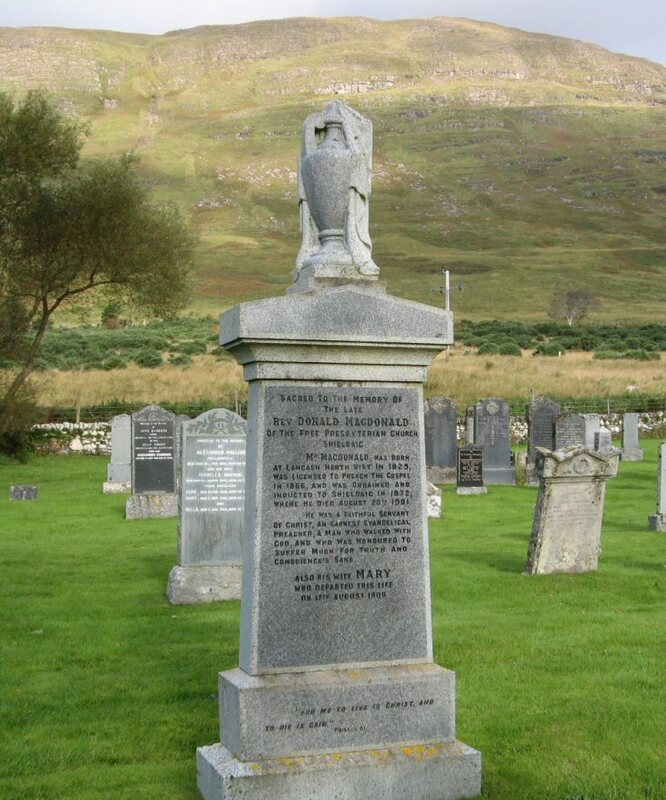 DONALD MACDONALD/of the Free Presbyterian Church/Shieldaig/Mr MACDONALD was born/at Langash North Uist in 1825/was licensed to preach the gospel/in 1866, and was ordained and/inducted to Shieldaig in 1872/where he died August 20th 1901. He was a faithful servant/of Christ, an earnest evangelical/preacher, a man who walked with/God, and who was honoured to/suffer much for truth and/conscience's sake. Also his wife MARY/who departed this life/on 17thh August 1909. "For me to live in Christ, and/to die is gain." Picture Added on 23 August 2010.